It’s getting harder and harder to find out of the way places to go completely off the grid. I was surprized to find that I had useful service inside the park, as my imperfect memory remembered good voice service but terrible data service. Mather Lodge of course has good WiFi, but this park has lots of memories for me. Most of which revolved around packing out, leaving town for a while, and just getting back to a different rhythm. Some of my earliest memories of Petit Jean go back to the mid 70’s. Going down to Cedar Falls, looking at little numbered plates along the trails — and not having the accompanying guidebook so we had to guess what the item remarked upon was — and wondering just how this wonderful playground came to be. The origins of the park go back to a terrible time in America’s past. It was one of several CCC encampments around the State of Arkansas during the Great Depression. Many able bodied men were stationed here, constructing improvements here and nearby. Many examples of their work remain, including the older wing of Mather Lodge and the hotel-style rooms there. Many of the of the cabins also date back to the original CCC days. The two dams that created Lake Bailey and Lake Roosevelt along the up-falls portion of Cedar Creek were built by the CCC, the first of the two was later rebuilt by the YACC and has seen other repairs and upgrades. 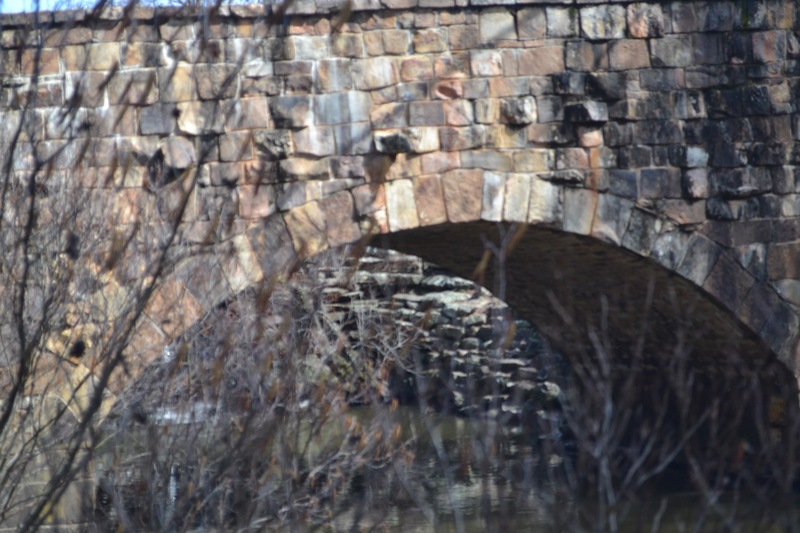 The original arch bridge over Cedar Creek can be seen in form, as the Davies bridge borrowed much of the original in its renewed form. The Davies bridge is perhaps one of the most photographed elements of the park, as its iconic archway can be seen with the damn behind it. The remains of the CCC Encampment are mostly gone, as they were never intended to be permanent structures. 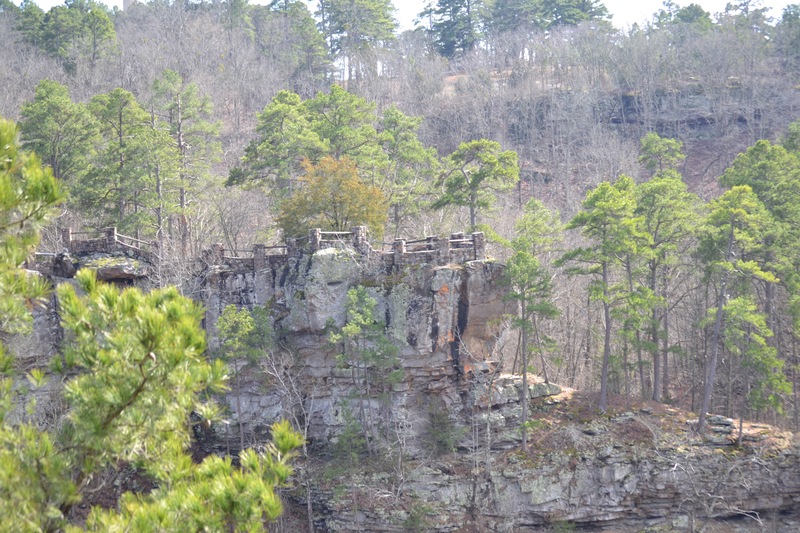 There is a fireplace and monument to be seen just off Arkansas Highway 154 as it winds its way through the park. 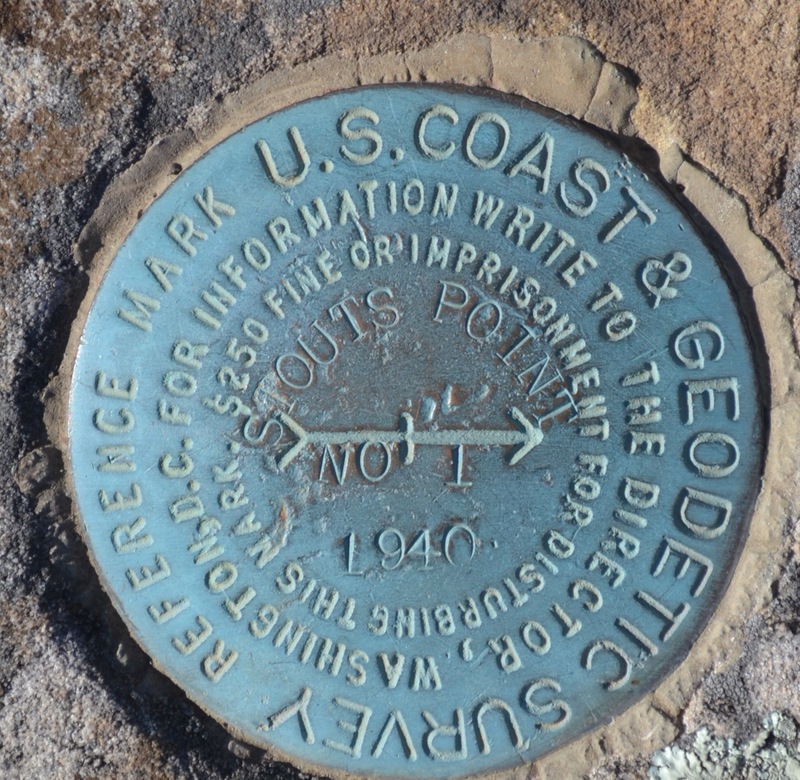 Another commonly photographed place here is Stout’s Point, or perhaps better remembered as the Gravesite of Petit Jean. 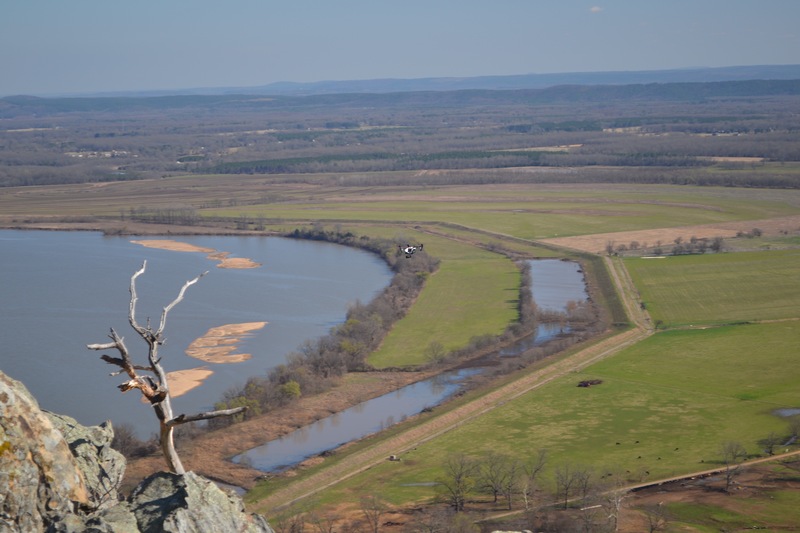 There is a write up of the ledgend of Petit Jean, and how she cut her hair, dressed as a boy, to follow her love from Europe to the New World, but how sickness struck her down, and she was lain to rest upon the promontory that overlooks the Arkansas River valley. On this particular day there was a film crew here operating a camera drone around some project. I found it funny that one of the pervasive hawks here kept above and sunward of the drone for a while, perhaps wondering if it was good eating. I would have liked to have seen the hawk take the drone out, but not at the expense of injury to the bird or to the destruction of the drone. Almost every time I’ve stayed here, I’ve stayed in the cabins here. They are very comfortable chalets that echo back to that earlier time. Indeed some of the cabins were built and never designed with electricity in mind. Cabin 1 comes to mind for this, as all of the electrical outlets are to be found in the floorboards, the stone and mortar walls with wood paneling were designed before reliable power was available here. Try to imagine what things were like. After a glorious sunset as we still can see today, light would have been by lamp, candle, or campfire. It’s these heritage type fireplaces that make the cabins so special. It’s not only the fireplace but the fact that real wood is burned in them. They have a smell too, like a real fireplace not some gas powered fire log that is more about decorating with fire than using it for heat or light. Build a roaring fire and relax with the lights off while unwinding from a long day hiking the trails and seeing the sights. It’s a slower pace of life and very soothing too. That smell lingers even in the summer months when their use is restricted. Even so, that doesn’t even reach to the falls themselves. 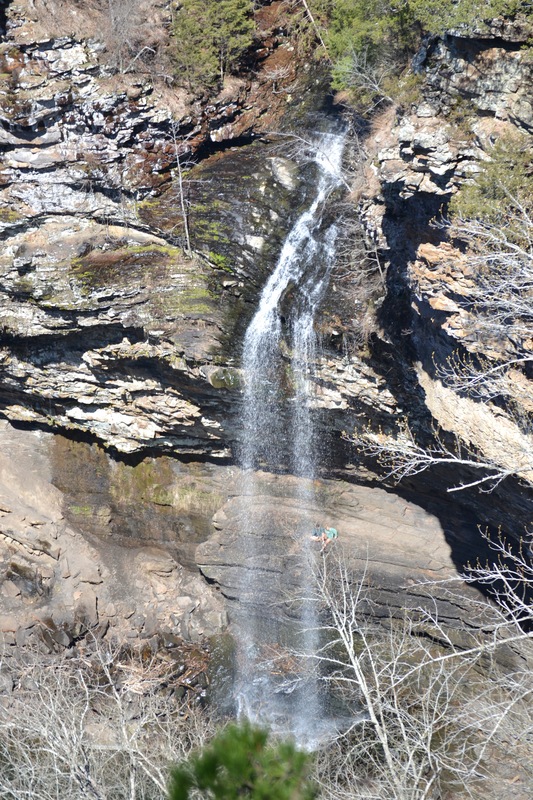 Without argument, Cedar Falls is the most photographed location in the entire park. From above or below, it is what the park was built around. It’s location with a nearby bluff face that overlooks the falls that is reasonably accessible has led to this popularity with photographers even if it’s natural beauty alone was not enough by itself. The geology of the area is somewhat interesting in its own right. It’s often studied by earth studies groups for its diverse collection of features in such compact geographical area.